Mr. Dacus is a trial lawyer and a native East Texan. His legal practice is focused primarily on business, commercial, and patent litigation. He also has experience in catastrophic personal injury cases. His commercial litigation practice covers a wide arena, including shareholder disputes, legal and accounting malpractice, contractual disputes, construction disputes, banking law, oil and gas, real estate, and intellectual property claims. Representing both plaintiffs and defendants, Mr. Dacus has both obtained multi-million dollar verdicts for plaintiffs and successfully defended clients where hundreds of millions were at stake. He has extensive experience in patent litigation in the Eastern District of Texas. 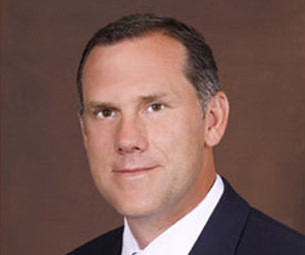 Mr. Dacus has represented clients in well over 500 patent cases in Tyler, Marshall, Texarkana, and Lufkin. And he has successfully tried over a dozen cases to verdict. He has extensive knowledge of the local courts, rules and the district's patent rules. He is also a charter member of the T. John Ward Inn of Court. Mr. Dacus is also a licensed certified public accountant. Prior to beginning his legal career, he was a senior level accountant at Price Waterhouse, where he gained broad business experience in representing clients. After law school, Mr. Dacus practiced with a large, national law firm in Dallas before returning home to East Texas in 1998.